Thanks to all those who came along to the END OF TERM festival at Chalkwell Park. It was a great day and amazingly it stayed dry!!! Having got there at 8am, we had 3 hours to set up. Which was great, as it always takes me ages!! There were glimpses of sunshine early on, but sadly that was it. 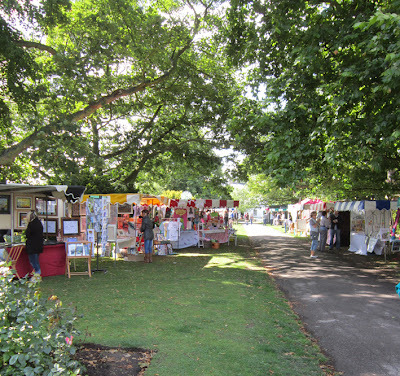 A few stallholders were starting to freeze even before it all started but lots of people braved the windy day to come down to the beautiful Chalkwell Park. 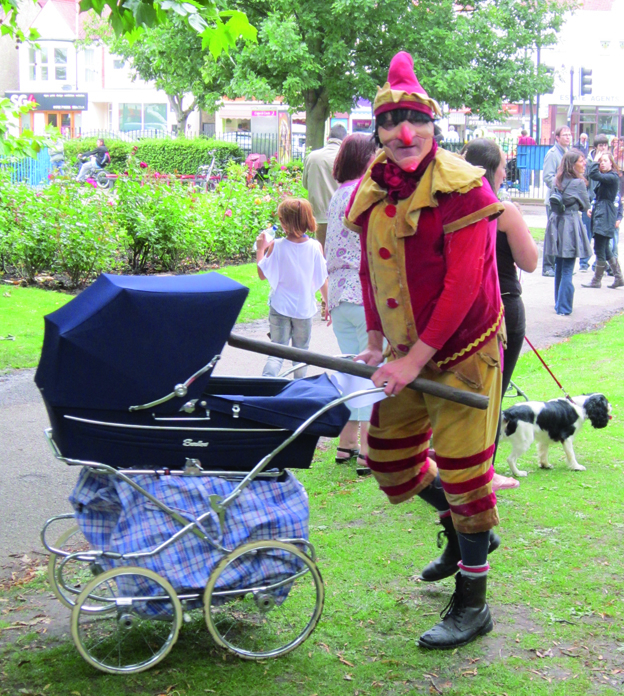 There was loads happening all day, we were even entertained by a manic Punch and Judy at one point. I can't believe how many Retro Football cards I sold, lots of footie fans were out on the day!! 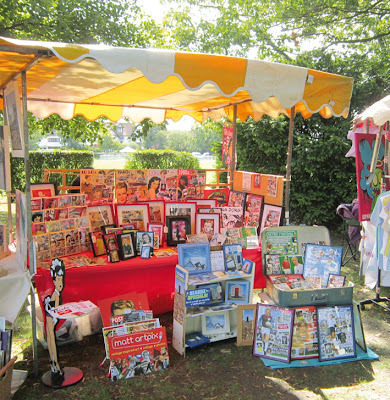 Sadly, all profits I made were quickly spent at the other stalls!!! A fabulous artwork by the brilliant Richard Argent and a lovely local history book from Dee Gordon. Can't wait for the next event at the park, this time I'll bring a thick jumper......!! Stall is all set up and look, it's sunny!! A lovely, early morning scene, showing how great the setting was. Here are those Retro Football cards waiting to be sold! One of the many exhibits at the park, and yes it's gone cloudy! 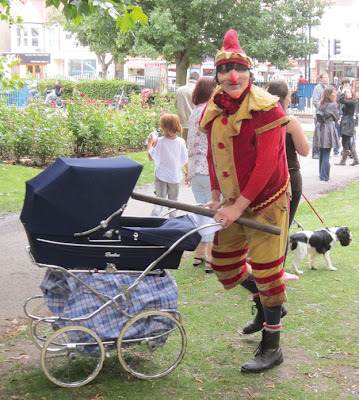 Here comes the manic Mr Punch!! 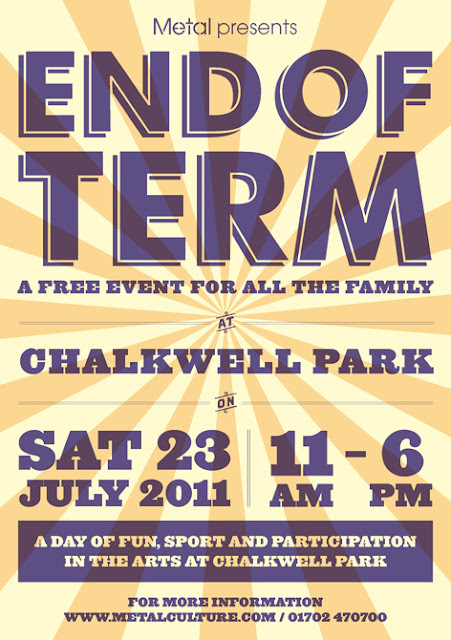 I very pleased to announce that I'll be appearing at the spectacular END OF TERM event at Chalkwell Park on Saturday 23rd July. To celebrate the end of term this will be a fantastic family day of fun and arts. 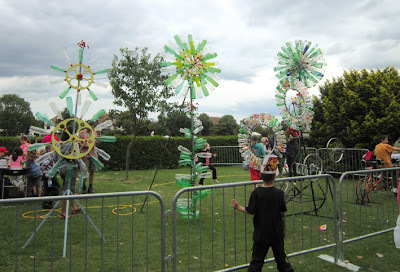 There will be theatre, film, comedy, sports and even a crazy golf course, WOW! And best of all lots of stalls to have a look at, including mine!!! 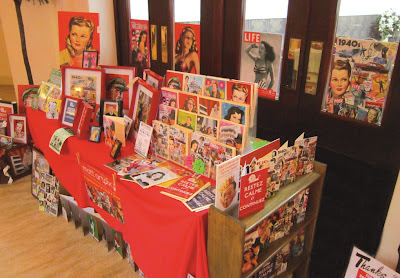 I'll be displaying all my usual favourites, including the RETRO FOOTBALL range and the DAZZLING DECADES. I will also have my new SEASIDE SPECIALS on show, and look out for lots more new greetings cards as well. All this and it's FREE to get in, so see you all there!! 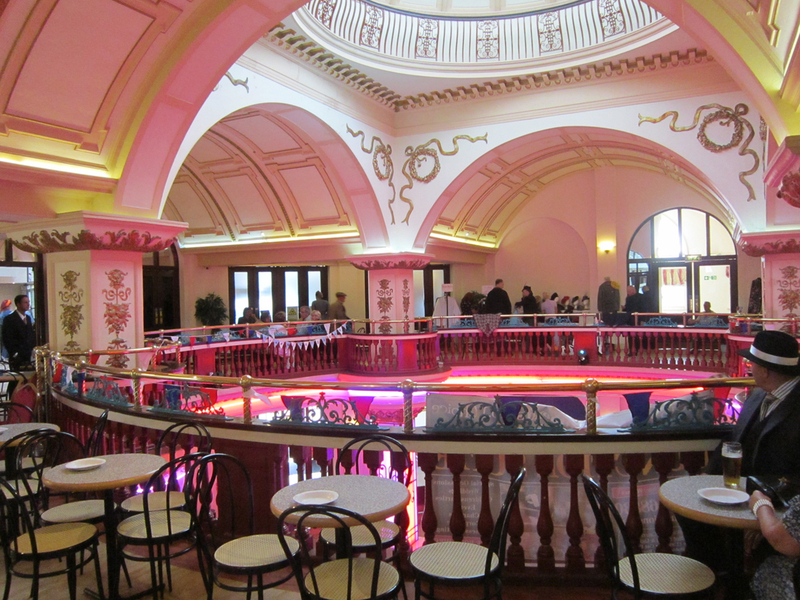 Wow, what a night it was at the Swing, Swing Swing at the Kursaal last Friday! Very impressed with the amazing dancing going on! And a spectacular £1,105.50p was raised for the Havens Hospices. Congratulations to Sandra Casey and the A Vintage Life team for organizing such a superb evening and good luck to Sandra with the trek to Peru! The night was featured in Friday's Echo newspaper. Wow, I even get a mention!! 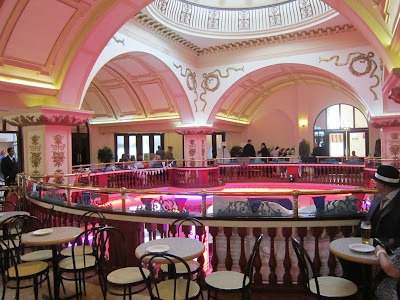 Inside the fantastic Kursaal, is that a spiv enjoying a pint in the corner?! 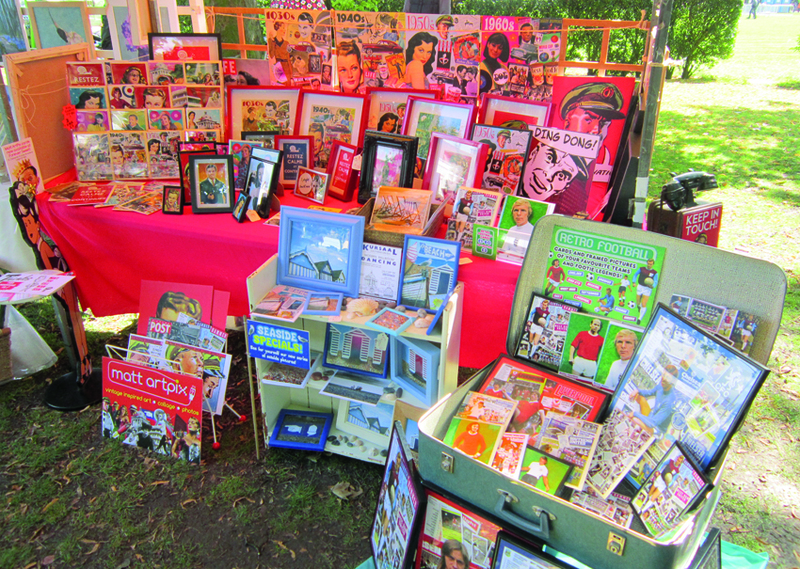 Here is my stall, with a few 40s specials on show! 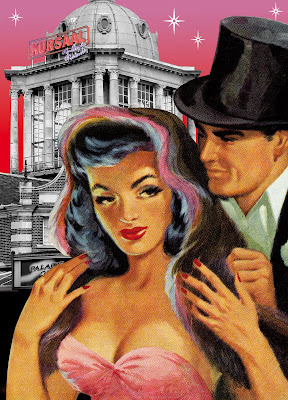 a handsome couple on a night out at the Kursaal! 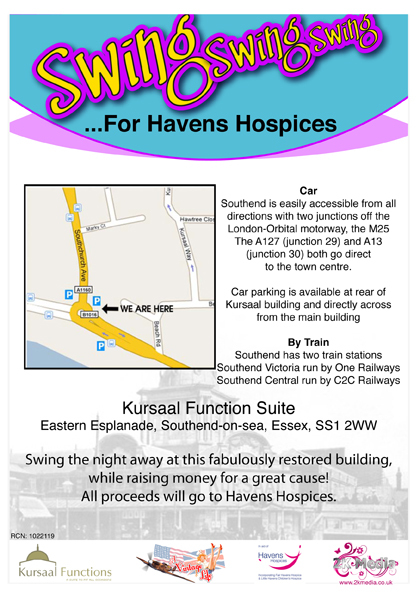 It's a charity event, held for the Havens Hospices and it's going to be a fantastic night. To make it extra special the dance will be at the iconic Kursaal building on Southend seafront. 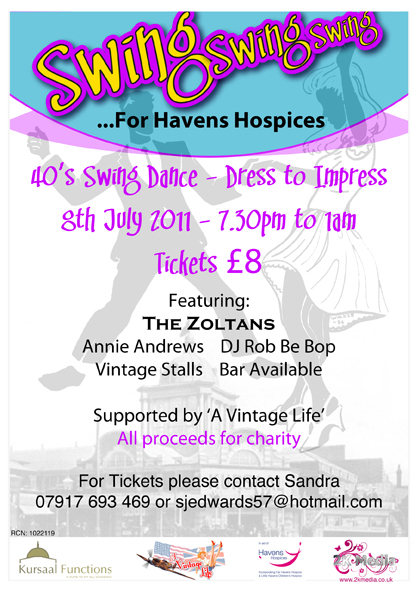 Come along to dance the night away with live music and performances from The Zoltans, Annie Andrews and DJ Rob Be Bop. 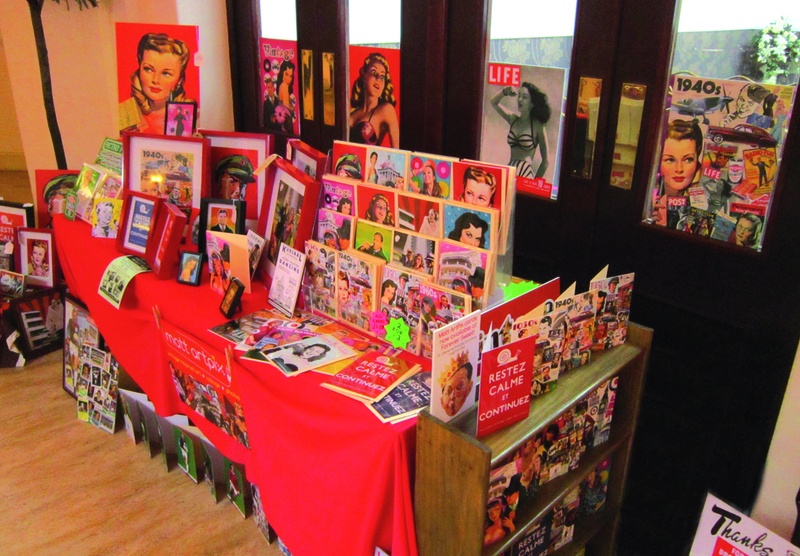 Also, check out the vintage stalls, and come and say hello to me! Dress to impress and see you there!! 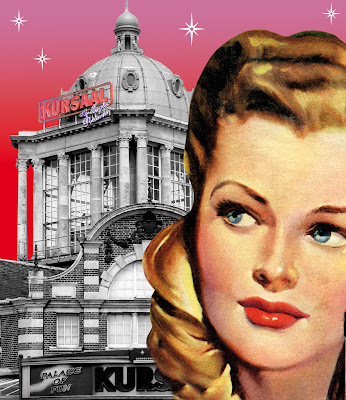 Get ready to dance the night away at the Kursaal!